We’ve been out working! Our First Bank Frisco project with Peinado finished strong and the GC is very happy with our work. Take a look at the screen shot from our recent letter of recommendation. If you’re looking for a long-term partnership with a commercial concrete contractor, you want to talk to Ashley Concrete. We value every single relationships and appreciate the opportunities we are being given. 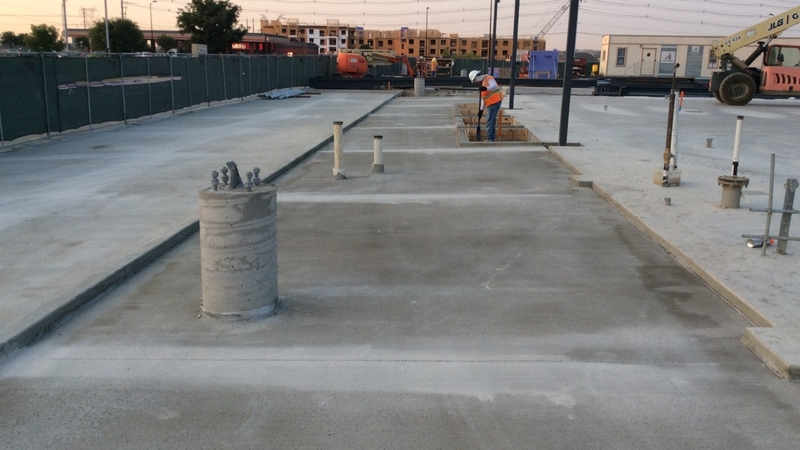 This project consists of drilled and cased piers, foundation, and paving. We really love #commercial concrete, #ourteam, and #ourcustomers! Ashley concrete cares. We care about you, our people, and projects. Community – our customers and employees share attitudes, interests, and goals. Accountability – we do what we say and we mean it. Relationships – we enjoy close personal ties. Excited – we love what we do and we know why we do it. Safety – we protect you, our people, and our balance sheet.